Just arrived is an interesting new technological advancement in the drone world. 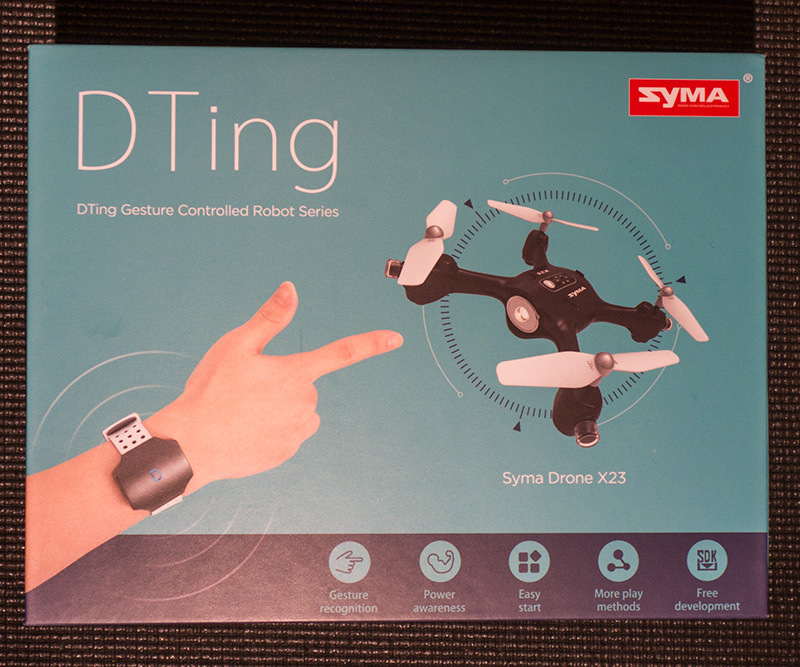 DTing makes gesture devices which can control many different devices and they’ve paired up their device with a Syma drone. There is no “standard” remote for this drone, just a wristband which reads hand and arm gestures. 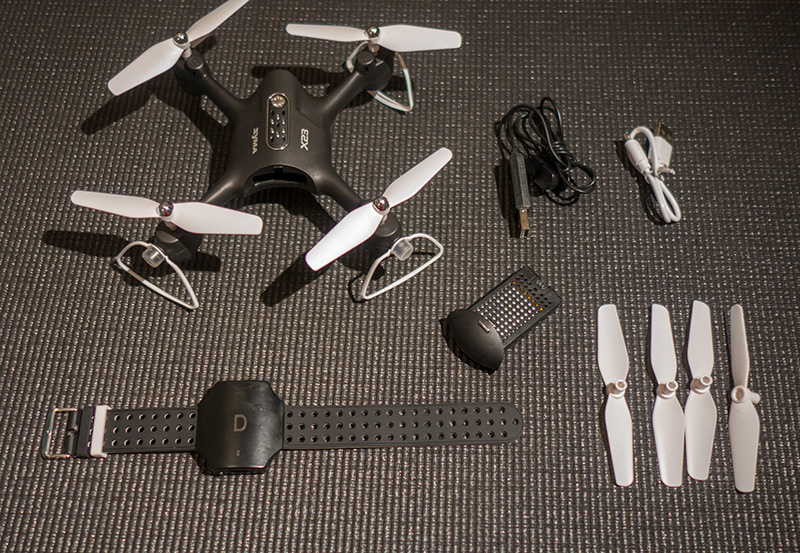 Here’s a look at what comes inside the box, the drone, the main battery, two charging cables, the wristband, four extra props, and the manual. 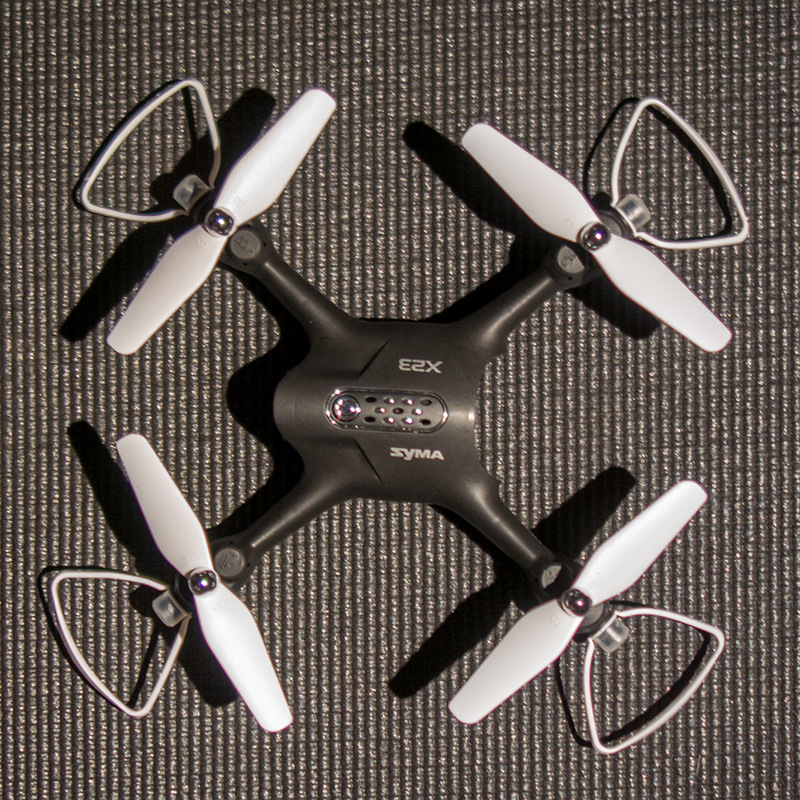 I’m charging the batteries now and will start test flying this gesture controlled drone asap. Stay tuned for the full review soon.